As many of my readers know I brew beer, enjoy beer and write about beer. This is not to say that I drink A LOT of beer, but it is something that I have grown to really appreciate. Each year I await the inbound shipments of pumpkin beers - not that I am a HUGE fan of them, but there's something about getting 'em, drinking 'em and having 'em available throughout the holiday season. I headed over to the local BevMo and picked up the only four types they had. I thought I'd go ahead and review them as well. I've read about MANY others - would like to try MANY others, but unfortunately I can only get what's shipped to CA and rather than hunt down specialty pumpkin brews at small liquor stores I head to BevMo and buy what they get in. If ANYONE located in NorCal can point me toward places that carry other varieties I'd be grateful. 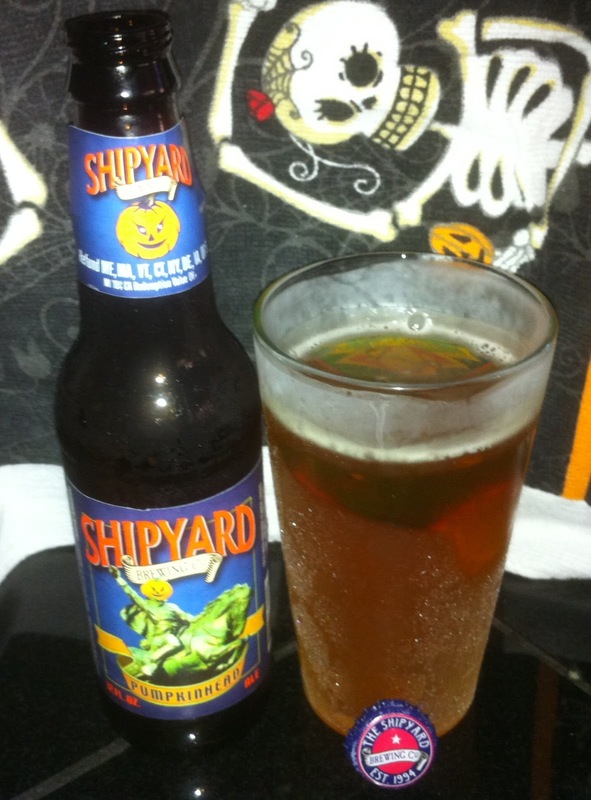 Shipyard Brewing Co. Pumpkinhead Ale - 5.10% ABV - I was introduced to this beer while in Portland, ME on business. It is the perfect beer to drink with a hearty meal on tap at Bull Feeney's on a cold Fall night in Maine. Pumpkinhead Ale has a very nice pumpkin pie spice scent, with a nice little hint of malt sweetness at the back. Great flavor, not as much spice in the taste as in the nose, and it matches well with the nice malt backing. These go down very easily and have the perfect balance of spice and flavor. A nice addition to a Halloween party of holiday meal. Shipyard is prolific and you can find their beer nearly everywhere. I'm a fan of the Shipyard Smashed Pumpkin (Pugsley's Signature Series) - a 9% ABV (which is right up my alley being that is it HIGH ABV). Those are sold in 22s so it is a drinking commitment unless you can find a pal to help you out. Dogfish Head Punkin Ale - "A full-bodied brown ale brewed with real pumpkin, brown sugar, allspice, cinnamon & nutmeg" pretty much sums this beer up. This beer weighs in at a nice 7% ABV. Hmmm...smells like a pumpkin beer...tastes...great, but not as spice heavy as I expected. Punkin Ale pours a great burnt orange - a nice white head and sticky lacing. The scents of cinnamon and ginger linger. The brown sugar and spices coming through in the finish. This beer is excellent and provides all the things I like. Drinkability AND high alcohol content. 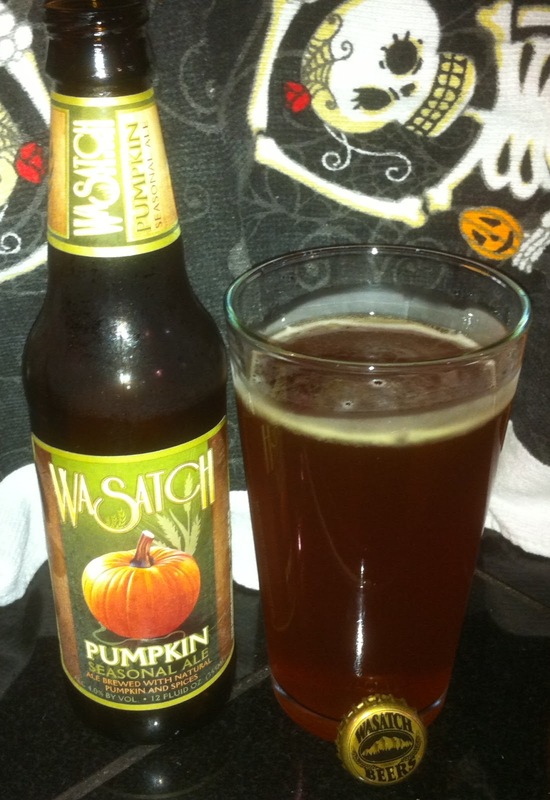 Wasatch Pumpkin Seasonal Ale - comes in at 4% ABV. Let me start by saying that I LOVE Wasastch beer. I visited Utah earlier this year and got to taste all of the beers (with low ABV) on tap and their double IPA in bottles - drinking a six pack in a few days was a feat, I must say. I love their Polygamy Porter and their sister brewing company's (Squatters) Hop Rising, but this seasonal ale just doesn't do it for me. The spice scheme is all off. The taste is unsweetened and mostly a watered down cinnamon-spiced pumpkin taste. It has an empty finish that is jsut flat out sour. I don't enjoy it (and I have a whole six pack to deal with). I wanted to like it, but I just don't. 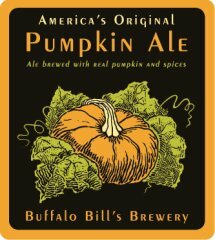 Buffalo Bill's Pumpkin Ale (America's Original) - 5.2% ABV. - This is one of the best of the best pumpkin brews (in my opinion). The brewery is almost in my backyard and I enjoy a bunch of their brews. Brewed with fresh roasted pumpkins and flavored with cinnamon, cloves, ginger and nutmeg, it IS NOT pumpkin pie in a bottle. It pours to a golden orange color and has a very light head formation. A wonderfully spicy nose that reminds me of freshly baked pumpkin pie. With a firm crystal malt background the pumpkin and spices take center stage. 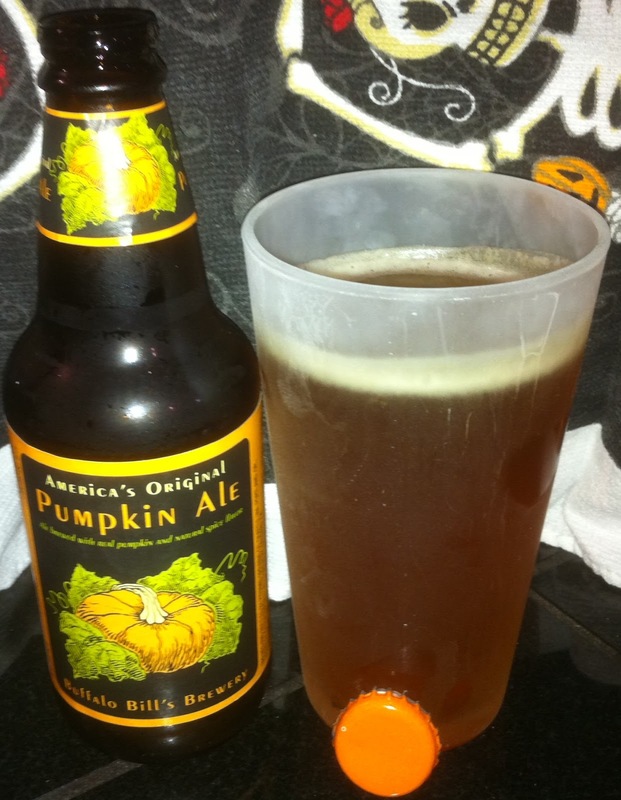 They meld nicely with the pumpkin flavors right on into the perfect spice-balanced finish. For some reason the reviews of this beer online have been grim. I'm not sure why. 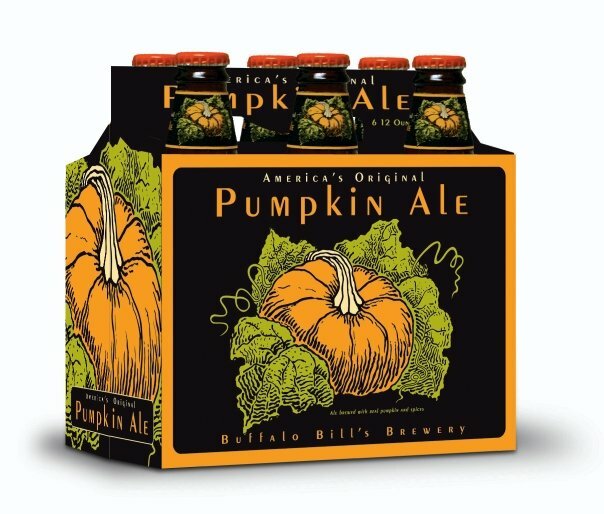 What I'm REALLY looking forward to is the release of their Imperial Pumpkin Ale. I tried 6.5 ounces of it (that's all they serve at a time) the other night at the pub and I tell ya, it is GOOD. At 9.8% ABV is packs a wallop. Brewer: Geoff Harries of Buffalo Bill’s Brewery in Hayward, California.Geoff homebrewed from 1981 to 1987. He became the head brewer at Buffalo Bill’s from '87 to '89, then the GM and head brewer at Brewpub on the Green from '90 to '93. He bought Buffalo Bill’s and is now the owner and head brewer.
" Our pumpkin beer is brewed at several locations for us, but one definite rule is that we always use fresh, whole pumpkins. The kinds vary depending on the season and what is ripe, but we like to use Atlantic Giants and Big Macs. Both are jumbo in size and have lots of fiber. Especially the fiber makes for easier mashing. Well, I enjoyed the process of drinking these four beers (minus the Wasatch) and bringing these beer reviews to you. Grab 'em if you can find 'em and CELEBRATE! Halloween is NEARLY here!